Realtime Gaming is one of the online gambling industry’s top software suppliers and in this article we take a look at some of the most popular casino games that you can play at any RTG online casino. RTG is widely known for creating casino games that are quick to download and that offer glitch-free play. Whether you are a slots lover or a fan of table and card games, you can bank on high definition graphics, apt audio effects and opportunities to win great jackpot prizes when you play any of the RTG casino games listed below. Aztec’s Millions is a 5 reel, 25 payline video slot that is a firm favorite amongst slot players who prefer progressive jackpot slot machines. As the name suggests, the online slot is inspired by the wealth and riches said to belong to the ancient Aztec civilization. As a progressive jackpot video slot, those who play Aztec’s Millions stand a chance to win a much larger jackpot prize than regular video slots offer. The size of the progressive jackpot is prominently displayed above the reels and players can watch the prize swell as they play. 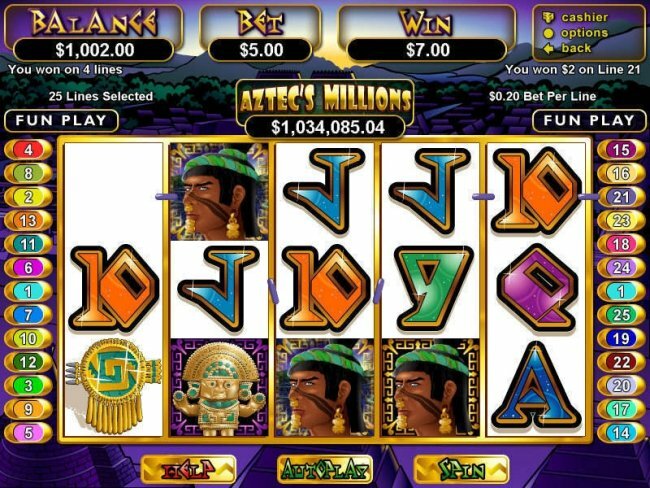 Aztec’s Millions includes wilds, scatters, multipliers and a free spins bonus round. If you are looking for a feature rich video slot that offers a highly entertaining theme, fun and interactive bonus rounds as well as chances to win great prizes, look no further than Orc vs Elf video slot. 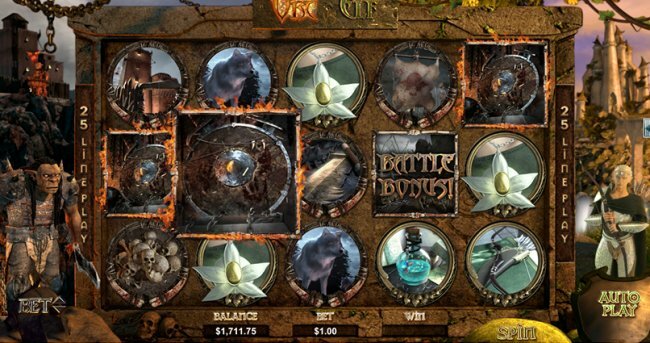 Set in a magical world inhabited by fantastical creatures, Orc vs Elf is a 5 reel, 25 payline slot that includes wilds, scatters, multipliers, free spins and a fun second screen bonus game packed with several unique features. Before you begin to play you need to decide whether you are supporting the orcs or the elves – your decision will determine the bonus features you receive. Players can look forward to spectacular graphics, rich audio effects and gripping video clips that truly transport you to another world. Online casinos are constantly adding new feature rich video slots to their slots portfolios, but there are many players who still prefer the simple reel action classic slots offer to the wealth of paylines, gimmicks and bonus features modern video slots provide. RTG’s Operation M.Y.O.W. slot was created with these players in mind. Operation M.Y.O.W. is a 3 reel, 1 payline classic slot that offers a top jackpot of 5000 coins. As the name suggests, Operation M.Y.O.W. is inspired by several feline secret agents. 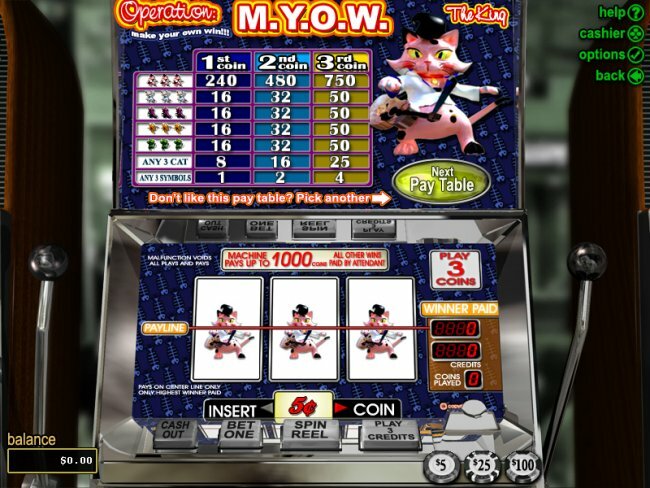 Although the video slot does not include bonus features such as wilds or scatters, it does allow players to choose the payout chart that they prefer. Play Operation M.Y.O.W. at your favorite RTG online casino and see whether you prefer the payout schedule based on Kung Fu Kitty, Bat Cat, Catzilla or many more. Operation M.Y.O.W. is a must for all lovers of cats. RTG’s varieties of blackjack are very popular amongst the online gambling community, because they provide crisp graphics, smooth dealing action and exceptional game speed. With some RTG blackjack varieties you can play up to 7 hands a minute. 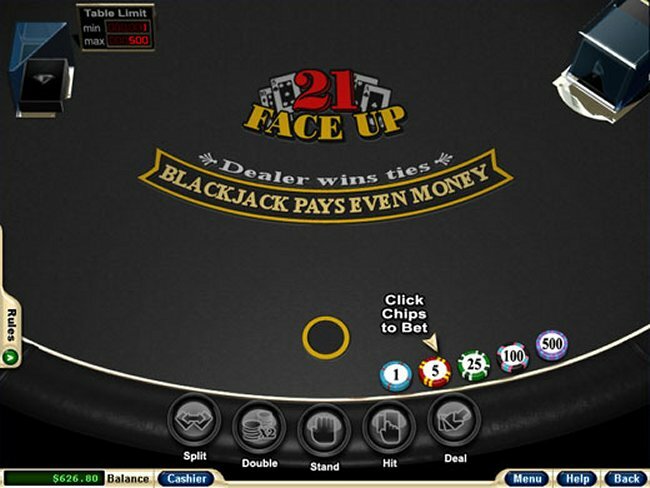 Face Up 21 is one of the most popular RTG variations on the game of blackjack. As with regular blackjack, you aim to get closer to 21 than the dealer, without going bust. However, with Face Up 21 you get to see both of the dealer’s cards and you can also double up if your first two cards equal 9, 10 or 11. If you are a fan of regular blackjack, but you are looking for something out of the ordinary, Face Up 21 is a sure bet. 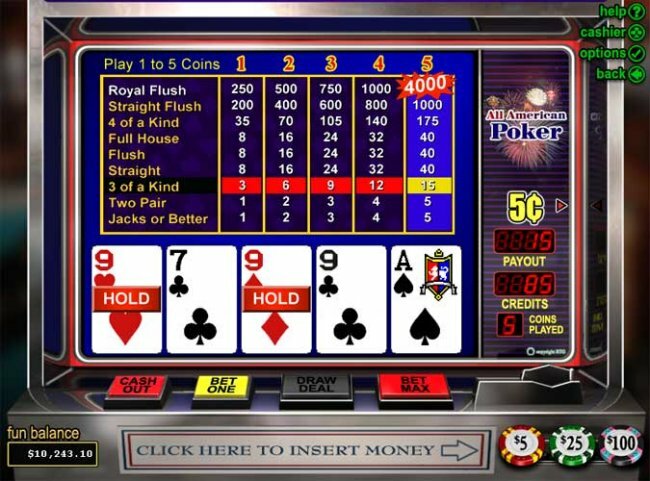 All American Poker is the classic game of video poker – it does not make use of wilds and is based on the standard paytable. When you play All American Poker, or any other variation of video poker, at an RTG online casino you can count on smooth dealing action at your own private table. The accessible paytable makes it easy for novices and experienced poker players to enjoy the game. There are several coin sizes available when you play All American Poker and you can choose the amount of coins you would like to bet per hand. But remember, the main jackpot is only available to those players who play the maximum number of coins per hand. Whether you prefer slot machines, table and card games, or specialty games, when you play at an RTG online casino you can be sure to find a large range of quality casino games that provide hours of entertainment and opportunities to win large cash prizes. Discover the exciting games and features found at NetEnt online casinos. Examine some of the advantages of playing casino games online.